(ADA Codes D7140, D7210) No Expiration. Don't Be In Pain Any Longer! Is your tooth broken, painful, or decayed? We know how bad a toothache can feel. That's why our dentists and staff members are available for emergency dentistry in your time of need. Sometimes, a tooth is painful, broken, or decayed beyond repair, and extraction may be the only option. We understand how much pain and stress these situations can cause, so we offer same-day emergency appointments to get you out of pain and back to living your life quickly. For your comfort, we use the strongest numbing medicines available while we treat your problem or extract the affected tooth. 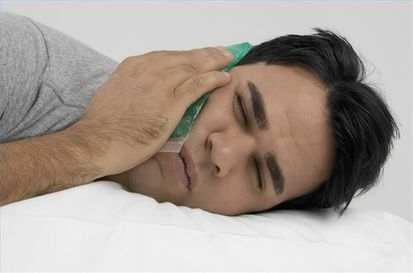 Since pain is often a sign of a severe dental issue, it's crucial to call us immediately. Left untreated, the pain and problems will only get worse. Sunshine Smile Designs is an easy drive from anywhere in Zephyrhills, Wesley Chapel, Dade City and San Antonio. If you want comfort, convenience, and immediate relief, call Sunshine Smiles now or click here to have someone contact you immediately.